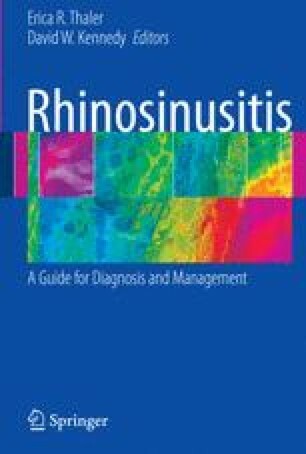 Appropriate medical management of chronic rhinosinusitis (CRS) requires a thorough understanding of the dynamics of the disease process, which is often multifactorial. Furthermore, the spectrum of factors at work in any individual patient varies depending on medical comorbidities, atopic status, whether the patient has had sinus surgery, and regional geographic variations. As for any other local or systemic inflammatory disease, treatment outcomes in CRS certainly depend on the patient’s general medical condition. This aspect mandates diagnosis and management of diabetes and any immunodeficiency, as well as control of air quality and smoking cessation. Unfortunately, however, the dominant driving force behind the chronic inflammatory process is often idiopathic, and a final common biochemical pathway is yet to be elucidated. Nonetheless, it is clear that the pathophysiology is far more complex than merely representing a prolonged bacterial infection or a simple allergic phenomenon.